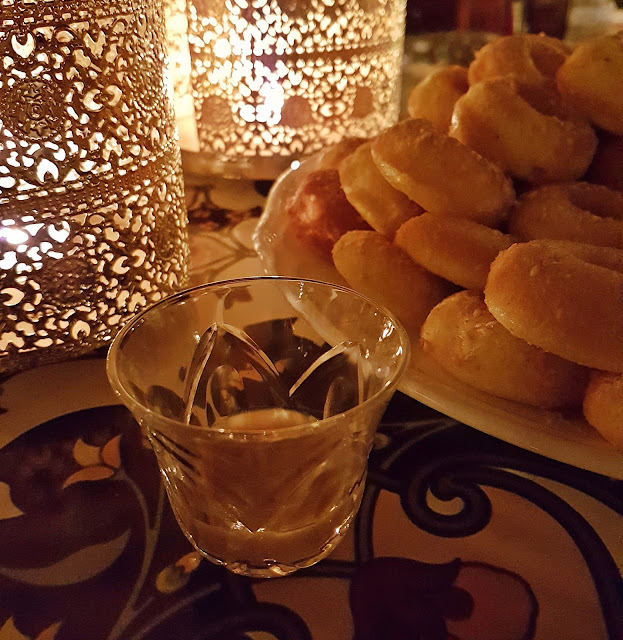 We wanted some saffron-infused ageeli cakes this Ramadan, but in a new bite-sized form. Que the mini baked donut tin. This Qatari cake is perfume to your tastebuds; the luxurious combination of saffron, rosewater, and cardamom will have you feeling like you are feasting in Aladdin's tent. If those infused flavors aren't enough, the mold is further greased with tahini and sprinkled with sesame before the batter is poured in. This is cake, but not just any cake. This is The Arabian Cake. Brush mini donut tins with tahini and sprinkle with sesame. 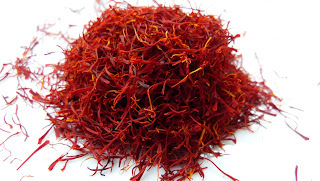 In a bowl, put the saffron, cardamom, and rosewater. Microwave for 10 to 15 seconds. Whisk in the milk, yogurt, and oil. Set aside. Using a stand or electric whisker, whisk the eggs, sugar, and vanilla until pale, frothy, and creamy (a good 7 to 10 minutes). Gently fold in the flour and rice flour and baking powder and the reserved saffron mixture, trying to keep as much air in the batter as possible. Using a heaped teaspoon, pour the batter in the prepared molds. Bake for 10 minutes until just golden around the edges. Carefully unmold with the help of a toothpick and invert onto your serving plate.